Love Never Dies is a dazzling new production, which takes audiences on a thrilling rollercoaster ride of intrigue, obsession and romance. Audiences will be seduced by the beautiful, sometimes magical and poetic, sometimes joyful - and occasionally melancholic score. Don’t miss this magnificent continuation of one of the world’s greatest love stories. 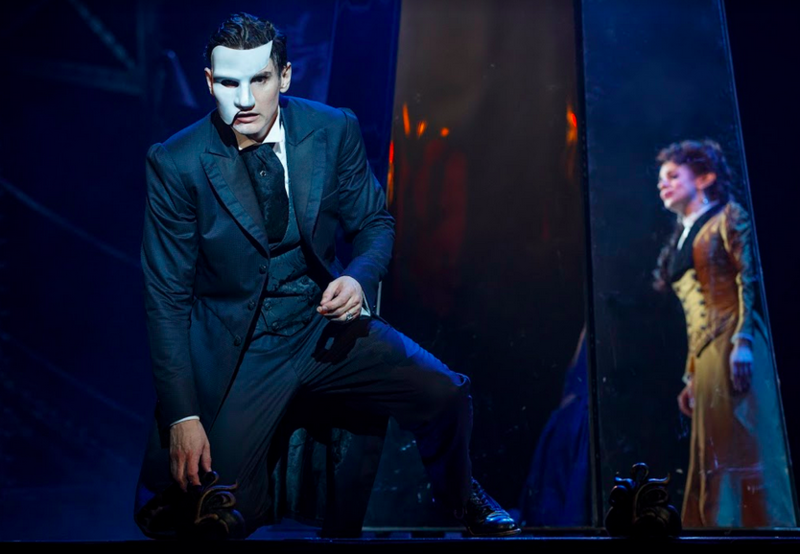 In fact, Andrew Lloyd Webber’s Love Never Dies, the spellbinding sequel to The Phantom of the Opera, for the premiere Houston engagement at the Hobby Center through July 22. Set in 1907, it is 10 years after his disappearance from the Paris Opera House and The Phantom has escaped to a new life in New York where he lives amongst the screaming joy rides and freak shows of Coney Island. In this new, electrically charged world, he has finally found a place for his music to soar, but he has never stopped yearning for his one true love and musical protégée, Christine Daaé. The new touring production reflects an extensive re-working of the material by an Australian creative team for the original Australian premiere in 2011. Described by Chris Boyd in The Australian as “The best thing Lloyd Webber has written in the quarter century since The Phantom of the Opera”. Direct from the highly successful production of Love Never Dies in Hamburg, Germany, Gardar Thor Cortes will portray the man behind the mask, ‘The Phantom,’ with Meghan Picerno as ‘Christine Daaé,’ Karen Mason as ‘Madame Giry,’ Sean Thompson as ‘Raoul,’ Mary Michael Patterson as ‘Meg Giry,’ and Christian Harmston and Jake Heston Miller sharing the role of ‘Gustave.’ The trio of Phantom’s henchmen include Katrina Kemp as ‘Fleck,’ Richard Koons as ‘Squelch,’ Stephen Petrovich as ‘Gangle,’ Gardar Thor Cortes is appearing with the permission of Actors' Equity Association. The Producers gratefully acknowledge Actors' Equity Association for its assistance of this production. TICKETS: Are available by phone (713) 315-2525 or (800) 982-2787; online at www.TheHobbyCenter.org or www.BroadwayAtTheHobbyCenter.com; The Hobby Center Box Office (800 Bagby, Houston, TX 77002) and all Ticketmaster outlets. Performance schedule, prices and cast are subject to change without notice. For more information, please visit www.BroadwayAtTheHobbyCenter.com.